Stanley Anderson RA (1884-1960) was a key figure in the revival of engraving in the 1920s, best known for his series of prints depicting England’s vanishing rural crafts. 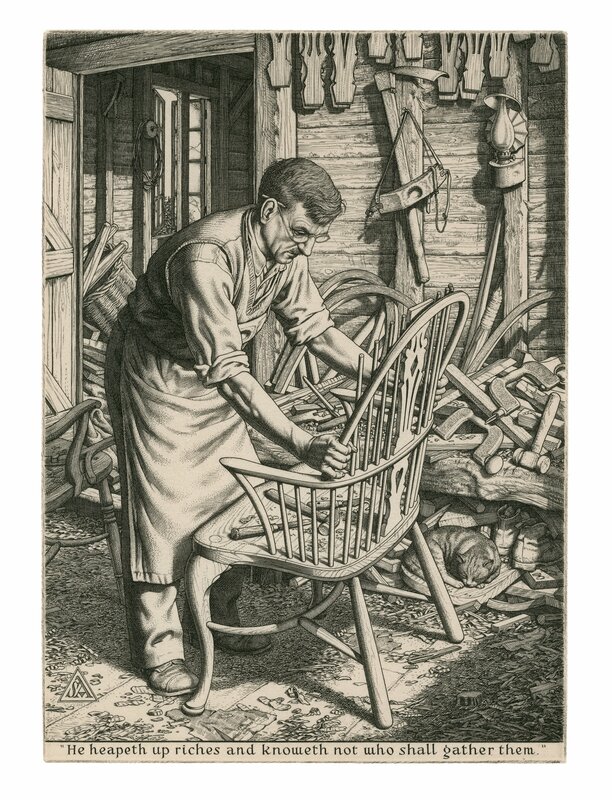 ‘The Chair Maker’, very probably of Jack Goodchild, one of the last of the Chiltern makers, is typical of his work to be shown in an exhibition, An Abiding Standard, at the Royal Academy of Arts, running from 25th February – 24th. May. For more information see the RA website here. Admission is £3, or free to holders of tickets to other current exhibitions at the RA including the magnificent Rubens show. A catalogue raisonne will be published to coincide with the exhibition.